Karen Korabik is Professor Emeritus of Psychology at the University of Guelph, Canada where she is affiliated with the Centre for Families, Work, and Well-Being. Her research centers on leadership, gender dynamics in organizations, and work-family integration. 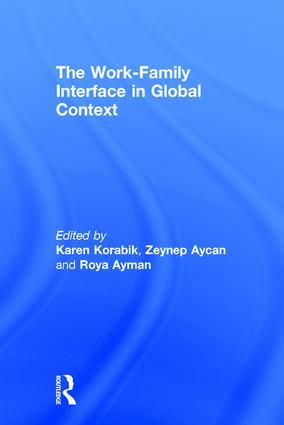 Zeynep Aycan is Professor of Psychology and Management at Koç University, Turkey. She received her Ph.D. from Queen’s University, Canada and conducted post-doctoral studies at McGill University. Her research focuses on the impact of culture on leadership, human resource management, and work-life balance. She is a Fellow of SIOP and APS. Roya Ayman is Professor of Psychology and Industrial and Organizational Psychology Program Director at Illinois Institute of Technology, USA. She received her Ph.D. from the University of Utah. Her research focuses on leadership effectiveness in diverse and global workplace, and social support in the work-family interface. She is a Fellow of the Leadership Trust, UK.